I'm working on a new sweater pattern. It's not an Icelandic lopi sweater like I usually do but rather a light sweater much like the ones I've been seeing in stores lately. The inspiration actually comes from a sweater I got from H&M. I often think "I could just knit this" when I'm looking at clothes in stores. Most of the time I'm also sure I can knit a nicer sweater with no seams and from better materials like merino wool, silk blends and so on. I don't care much for acrylics though I sometimes use them. I started test knitting my idea with a very nice yarn from King Cole, a mix of cotton and bamboo. It's very soft and drapes wonderfully. I wanted the sweater to be an inside out sweater, i.e. I wanted the purl side to face outwards. That meant that when knitting I had to make sure to hide all ends on the knit side facing me and to made sure that all increases and decreases looked good on the purl side. That's something one usually doesn't have to worry about. When I finally finished the sweater after some frogging and adjusting I decided it would be better to work it top down. Mostly because I didn't like the raglan decreases as much as I wanted to. So I started again. I didn't want to frog the first sweater since it's quite nice and I also wanted to try a different yarn. 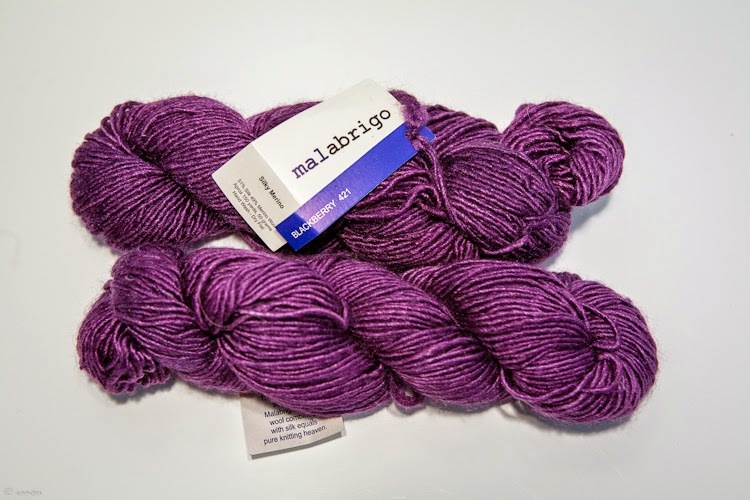 I've had 6 skeins of Malabrigo silky merino in a gorgeous plum color for ages, 5 years to be exact. But I haven't been able to decide what to make from it. So now I finally decided to make a sweater from it. 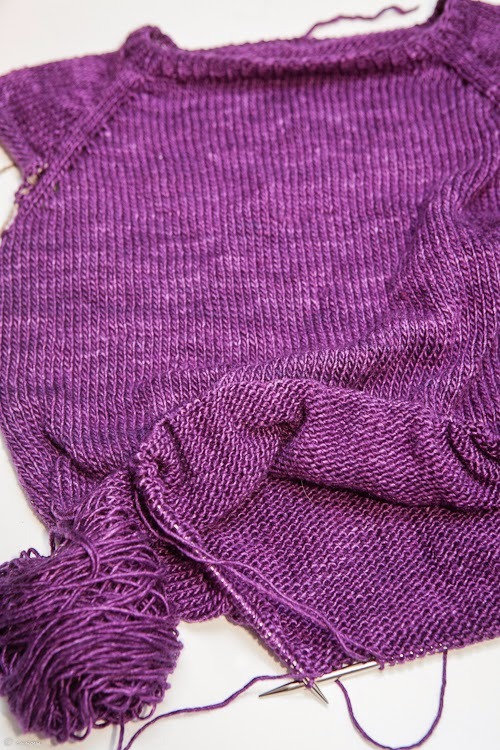 When I started the new sweater I decided to use a provisional cast on with a crochet hook. That makes the cast on look the same on both sides. I also decided to try to make this a reversible sweater. It's possible since I can twist the ends together when starting a new skein so it's invisible. I still thin I will rather use it with the purl side facing out. I first made this hat in 2010 when my older daughter was a baby. I never wrote it down but always meant to. Recently my younger daughter started using the hat and I was reminded of how happy I am with it. So I decided to write down the pattern and publish it on Ravelry. It's made with Icelandic Kambgarn but any sports weight wool can be used. If you like the pattern you can buy it HERE or find me on Ravelry. It's available in both English and Icelandic. 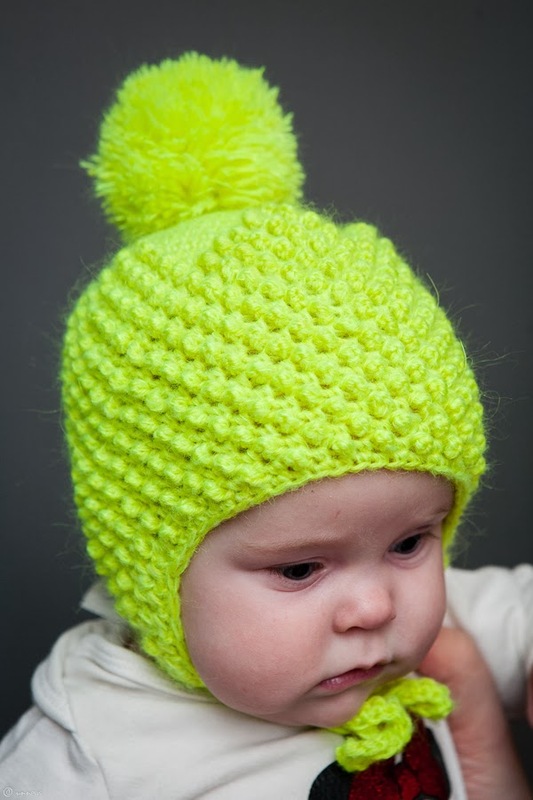 I just finished this crocheted neon hat for my daughter. Don't you just love the color??? From time to time I make some knitting tutorials. So far I've shown how to graft stitches together using kitchener stitch, how to knit two things on one needle, how I sew in ends while crocheting and how I do a purled stitch. My videos were intended for Icelandic speaking people and all have Icelandic text (no speaking) but maybe they can be useful to others as well. More can be found on Youtube.